With an impressive 80% less sugar and 70% less fat than standard supermarket alternatives, you can enjoy these delicious cookies even if you’re sticking to a strict fitness programme. Baked with 25g of milk protein, oat flour, and a sprinkle of chocolate flavour chips, our Lean Cookies are the perfect snack to satisfy cravings. 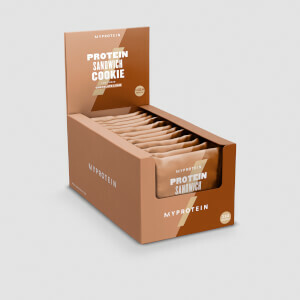 Containing a massive 25g of protein per cookie, these sweet treats will support your training efforts, as they’ll help you hit protein requirements to grow and maintain important muscle1 — without you even having to prepare a meal or shake. They’re super-easy to fit into your day, whether you’re in need of a pick-me-up at your desk or a quick protein hit post-workout. When to enjoy Lean Cookie? These are the ideal snack to satisfy sweet-tooth cravings, wherever you are. Plus, they come in three indulgent flavours — Cranberry & White Chocolate, Lemon & White Chocolate, and Dark Chocolate & Berry. What to enjoy Lean Cookie with? If you’re stocking up the snack cupboard with healthier alternatives, add our Lean Flapjack to the mix — another high-protein treat that’s low in sugar and high in fibre. Store in a cool, dry place out of direct sunlight. This product should not be used as a substitute for a varied diet. Consume as part of a balanced and healthy lifestyle. Not suitable for vegetarians. Excessive consumption may cause a laxative effect. For allergens, including cereals containing gluten, see ingredients highlighted in bold. May also contain nuts and peanuts. 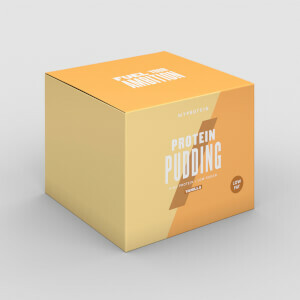 Cranberry & White Chocolate Flavour: Milk Protein, Hydrolysed Gelatine, Glycerine, Soy Protein, Oat Flour, White Chocolate Chips (6%) (Sugar, Cocoa Butter, Whole Milk Powder, Emulsifier (Soy Lecithin), Flavouring), Cranberries (3%) (Sugar, Cranberries, Palm Oil), Maltodextrin, Palm Oil, Raising Agents (Sodium Bicarbonate, Cream of Tartar), Gum Acacia, Flavouring, Sweetener (Sucralose). 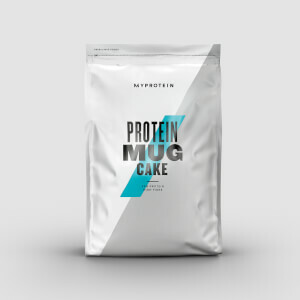 Lemon & White Chocolate Flavour: Milk Protein, Hydrolysed Gelatine, Glycerine, Soy Protein, Oat Flour, White Chocolate Chips (6%) (Sugar, Cocoa Butter, Whole Milk Powder, Emulsifier (Soy Lecithin), Flavouring), Chia (Salvia hispanica) Seeds (3%), Maltodextrin, Palm Oil, Raising Agents (Sodium Bicarbonate, Cream of Tartar), Gum Acacia, Flavouring, Sweetener (Sucralose). Dark Chocolate & Berry: Milk Protein, Hydrolysed Gelatine, Humectant (Glycerol), Soy Protein, Oat Flour, Pumpkin Seeds (4.5%), Dark Chocolate Chips (4.5%) (Cocoa Mass, Sugar, Emulsifier (Soy Lecithin), Flavouring]), Maltodextrin, Vegetable Oils (Palm, Rapeseed), Raising Agents (Sodium Bicarbonate, Potassium Bitartrate), Emulsifier (Gum Acacia), Flavouring, Sweetener (Sucralose). 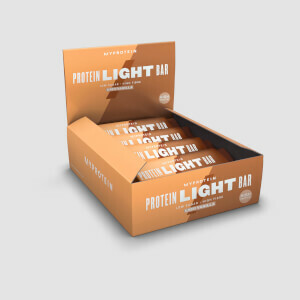 The nutritional information is based on the Cranberry & White Chocolate flavour version, when choosing an alternative flavour the nutritional values may vary. These have just perfect calories and macros so I've been sticking to purchasing them even though the taste is not the best. The dark chocolate is ok but the white has way too much sweetener. Not really a huge fan of the texture, which resembles sticky and gooey protein bars. I wish there were other snack options with 25g of protein under 200kcal. The Dark Chocolate ones are really delicious! I really like that it has pumpkin seeds in it as well. Just do not expects like doughy supermarket cookies but rather smoother protein bars. I usually heat them up in the microwave a bit to make them more doughy. Perfect snack! These are nice tasty cookies. The first one I had I didn't know what to expect, but I got a soft doughy tasting cookie which I find better than the hard crunchy cookies. One of these fills me up and I had a big appetite which is why I purchased the skinny cookies.